The legacy of imperial Spain was shaped by many hands. Chief among them is the towering figure of King Philip II, the cultivated Spanish monarch whom a contemporary once called 'the arbiter of the world.' Cheerful and pious, he inherited vast authority from his father, but nevertheless felt himself unworthy to wield it. His forty-two-year reign changed the face of the globe forever. Alongside Philip we find the entitled descendants of New Spain's original explorers-men who, like their king, came into possession of land they never conquered and wielded supremacy they never sought. Here too are the Roman Catholic religious leaders of the Americas, whose internecine struggles created possibilities that the emerging Jesuit order was well-positioned to fill. With the sublime stories of arms and armadas, kings and conquistadors come tales of the ridiculous: the opulent parties of New Spain's wealthy hedonists and the unexpected movement to encourage Philip II to conquer China. Finally, Hugh Thomas unearths the first indictments of imperial Spain's labor rights abuses in the Americas-and the early attempts by its more enlightened rulers and planters to address them. 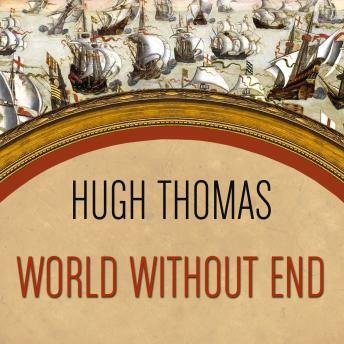 Written in the brisk, flowing narrative style that has come to define Hugh Thomas's work, the final volume of this acclaimed trilogy stands alone as a history of an empire making the transition from conquest to inheritance-a history that Thomas reveals through the fascinating lives of the people who made it.